When the Rolling Stones arrived at London’s Hyde Park on 6th July to perform the first of two concerts at the AEG-Barclaycard British Summer Time 10-day season, they were safe in the knowledge that their glorious oeuvre of classic rock favourites would reach the 65,000 or so fans situated in proximity of any of the ten delay towers courtesy of an Optocore redundant fibre distribution system. 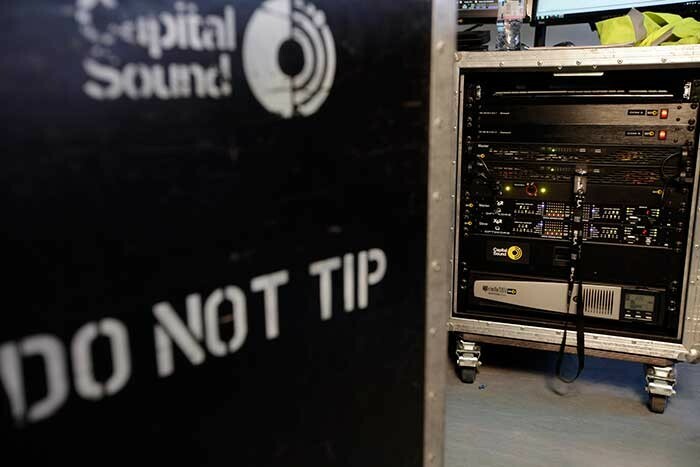 Capital Sound had been awarded the sound reinforcement contract by promoters AEG Live/Loud Sound – Royal Parks’ new tenant – and the London-based production company deployed the Optocore system that they purchased in 2011 for the Take That Progress Live stadium tour – supplemented by a further eight newly-acquired XR6-FX converters. Colville knew that by adding a further six X6R-FX-8AE/8MI converters to the eight already in their inventory they could connect to 11 locations as well as dual redundant units at FOH (plus back-up). Configured with 8-channel AES3 I/O 8-channel Microphone Inputs and Wordclock I/O this provides the capability of 32-channel AES-EBU output. The redundant units at the FOH tower connect to these remote locations – including nine delay towers, VIP stand and second FOH tower (for lighting control) via the fibre network, carried on catenaries and delivering AES-EBU audio feeds. Connectivity to the Martin Audio PA’s MLA VU Net control network, running the dedicated Merlin management system, was via an Ethernet tunnel – with RS485 data connection to the XTA DP-226 processor ports located in the VIP stand and at the FOH tower. 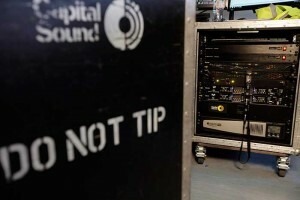 The network topology was in place by the time AEG-Barclaycard British Summer Time opened up with Bon Jovi on 5th July. Ian Colville had first taken the decision to adopt an Optocore platform two years ago to feed Take That’s stadium ‘ring’ system (a series of roof-mounted delay clusters instead of traditional delay towers). With the sightline issue taken care of, pristine signal transmission over distances up to 200 metres had been required.